I got the Sky Golem, finally! It takes ages to craft enough Jard’s Peculiar Energy Sources for getting the Sky Golem – especially for someone who is too lazy to go farm Ghost Iron sometimes, or simply forgets to log in and do the daily crafting on some days, so I could have gotten it a bit faster after all.. But now it is mine! 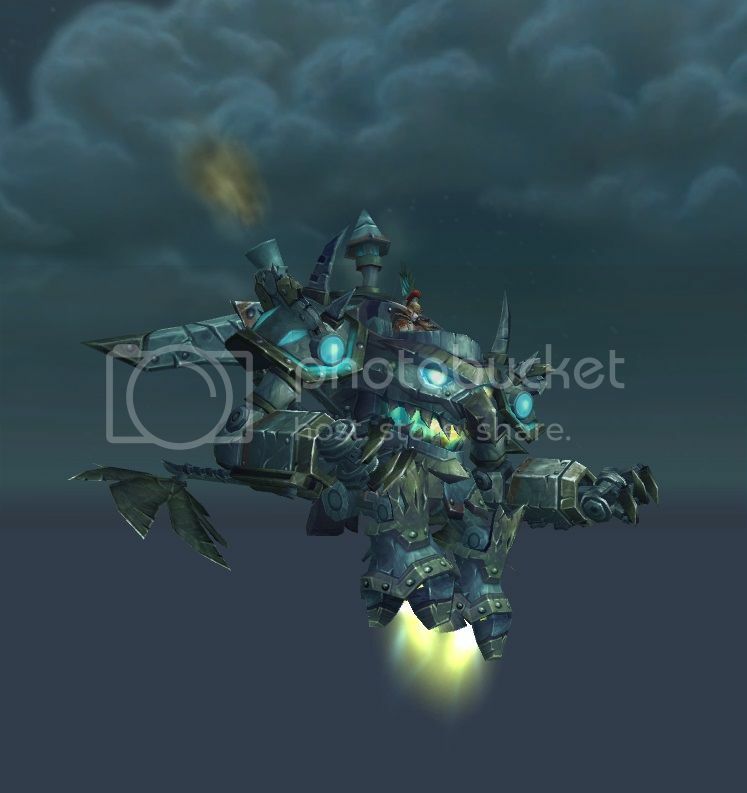 This entry was posted on Wednesday, November 13th, 2013 at 00:06	and tagged with Crafting, Engineer, Jard's Peculiar Energy Source, Mount, Sky Golem, world of warcraft, WoW and posted in Gaming, World of Warcraft. You can follow any responses to this entry through the RSS 2.0 feed. « The future of WoW is going to be awesome!